Calgary NW Real Estate landscape currently has more than 300k residents. 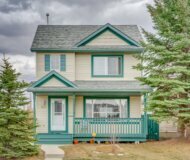 Situated just north of the beautiful Bow River west of the city, this quadrant features some of the most mountainous and treed landscapes in the City of Calgary. 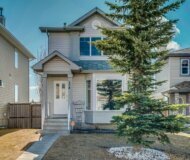 The Beautiful Hilltop neighbourhoods overlook the Bow River Valley, Downtown skyline, and acres of parkland. The North West is also best known for Nose hill park which is a fantastic landmark and great place to take you pets for a long and calming walk. 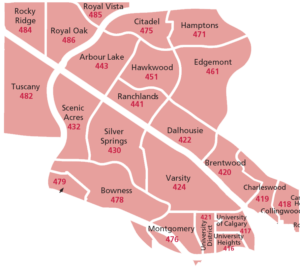 The NW segment of Calgary is a large and diverse area. Home Buyers will find anything from urban communities with character homes to trendy riverside condos— most within a very short commute to our vibrant City Centre. Properties in the NW vary from modest starters to over the top million dollar estates, the sky is the limit. You will also find some fantastic condos that are just as close to downtown. If you’re looking to purchase a property in the NW, consider Evanston for great beginner homes. Panorama has a mix of single family homes, golf homes and trendy condos that appeal to a vast range of buyers. 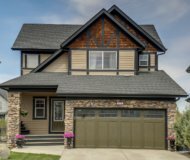 If you’re looking for lakeside living consider Arbour Lake. While most of the newer communities are further from the city core, every community in this quadrant offers its own unique and desirable quality. For more info about any of these communities feel free to contact us anytime.